From time to time I visit the web site of an Internet fossil dealer at indiana9fossils.com to look at the expensive and exotic fossils for sale. Listed on April 8, 2011 were a group of ammonite fossils from the Bearpaw Formation of southern Alberta, Canada. An approximate 28 inch diameter fossil is the Placenticeras meeki from the Cretaceous Period is one fossil in this group on display. 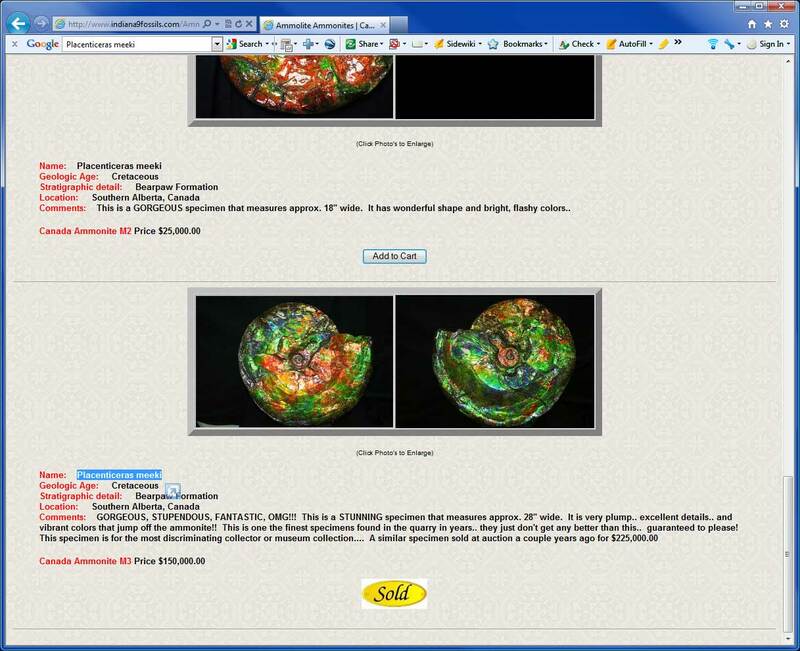 The specimen labeled "Canada Ammonite M3" sold for $150000! As of this writing two other smaller specimens are for sale for $6000 and $25000. Wow, that is one expensive invertebrate fossil!